SKU: 25-382-2378. Categories: Earrings, Mother of Pearl. Tag: Freshwater Pearl Cascade Earrings. 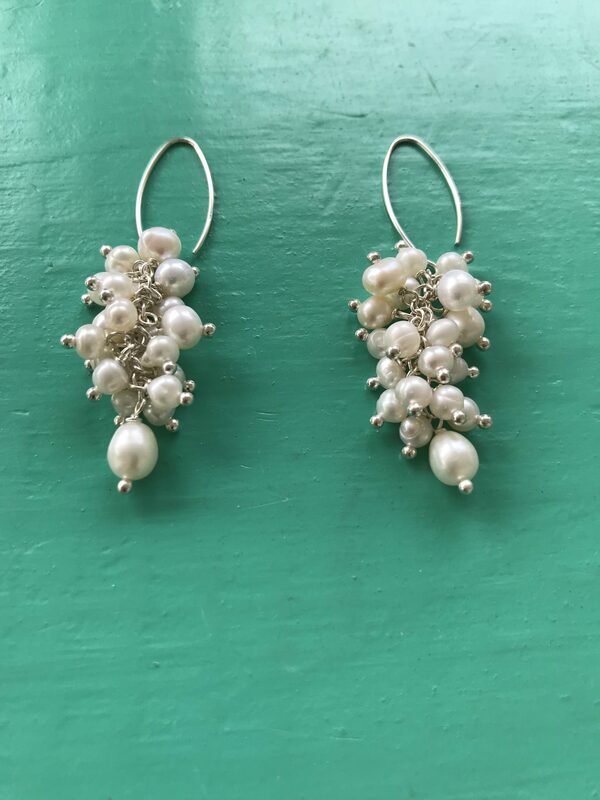 Freshwater Pearl Cascade Earrings. 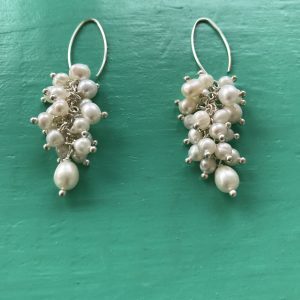 A cluster of small freshwater seed pearls tumble down in these delightful sterling silver earrings. We love them and we’re sure you will too. The combination of the classic pearl with a fresh stylish design makes these earrings really sought after. 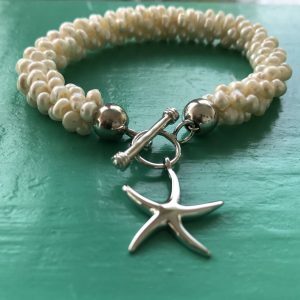 They are also a great match with our freshwater seed pearl bracelet with sterling silver starfish charm. See below for details.